War! Poverty! Inequality! Prescription drugs! Chaos everywhere. At least that’s what the news would have us believe. Sometimes I don’t know what to think about all these things so I try not thinking at all. This actually works remarkably well and it’s a good habit to form—feeling without thinking. Invariably, however, we have to use our brains. We have to do the dance and therein lies the trap: how to make sense of things. The whole damn thing is incredibly confusing. I imagine that life would be simpler if it had an instruction manual and then I realize how it is that books like the Bible, and the Quran, and the I-Ching get their power: we eagerly hand it over to them. We’re looking for a light in the dark, and when we find something that sparks some sense and connects the dots into a picture that we can work with, we’re inclined to follow that light. On a global scale this inclination is incredibly powerful. And yet this understanding is remarkably profound. If we bequeath this power onto books then it follows that the same power resides within us—it is endogenous to us as living creatures—how else could we hand it over? The beauty of it all is that this power doesn’t leave us once we entrust it elsewhere, we assume control simply by ceasing to relinquish it. There is, however, some disagreement as to what we mean by “power” and this is just one of the many wonderful services the English language provides (sarcastic emphasis added). A quick glance at the definition of “power” in Merriman-Webster’s online dictionary provides nine unique definitions. At what point should we consider inventing a new word? No wonder we’re all so god damned confused! It’s all very upsetting. And so what to do? All the reasoning and logic in the world does not change one simple fact: we have no choice but to accept things as they happen. 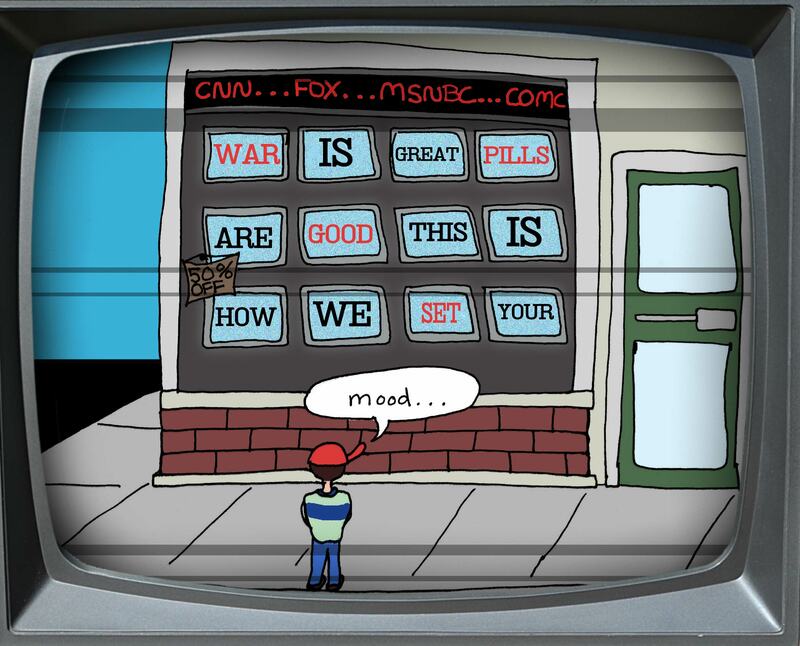 Something on broadcast news or something we see with our own eyes is something that is over. It has come and gone. No matter what we do from this point on we can not change the past, we can not undo what has already happened and in fact what has already happened now exclusively exists in our minds as a memory and nowhere else. We choose to empower the past just as well as we choose to empower the Bible. The only thing we should empower is the Present. I may not change the mind of some dictator in North Korea or suddenly right the wrongs wrought on the environment, but I can impress upon the people immediately around me. After that, who’s to say what happens next? My actions will ripple outside of my direct sphere of influence, I simply must accept them for what they are and accept that I may never know. And maybe there is one more step: not just to accept, but to embrace—to love—those ripples as they come towards us from somewhere else. The world is not something that happens, it is something we DO.